Street. 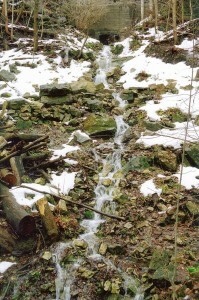 Lower Little Falls is located on a tributary of the Ancaster Creek on the west side of Wilson Street opposite Little Falls. Its flow is prominent during rainfalls and the winter snow melt. 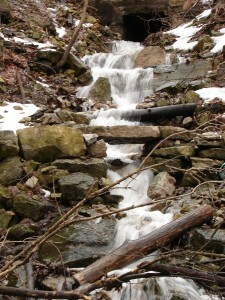 Lower Little Falls was “discovered” by Paul Beneteau of the Bruce Trail Iroquoia Section in early spring 2007. 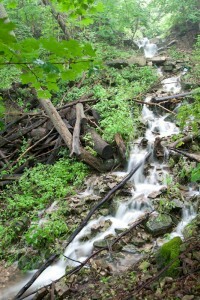 Apparently the Bruce Trail at this location would wash out on a regular basis and finally Paul discovered why. The Bruce Trail actually crossed over Lower Little Falls at its midpoint, however due to all the debris that was on it and with the waterfall being dry for a large portion of the year, no one realized why. Joe Hollick requested that the Bruce Trail remove some of the debris because he was not able to get a suitable picture showing water flowing. Paul’s crew of six took four hours to clear the debris and rebuild the Bruce Trail at this point allowing for water to cross the trail without washing it out. Thank you to the Iroquoia Section of the Bruce Trail for cleaning up the site. 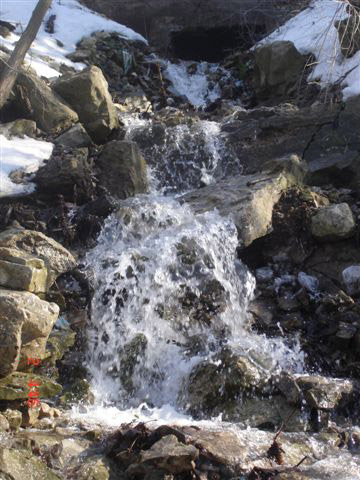 To view this waterfall, drive up Wilson St. towards Ancaster and just past where the two lanes upbound merge into one lane. 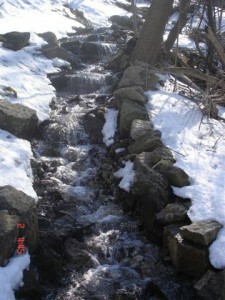 Lower Little Falls is located on the west side of Wilson St. at that location.